With Disney owning ABC, and thus a share of Hulu, and soon to be bringing in 20th Century Fox, thus having two-thirds–sorry NBCUniversal, it’s not surprising that they would want to bring their stuff over there while still setting up their Disney Plus streaming service. Marvel recently ended most of their Netflix shows (or maybe all of them–I don’t have Netflix) and now we have four animated series making their way to Hulu. Marvel has never really had their own version of the DC Animated Universe. At best they shared voice actor and character designs between shows but it always felt to me like they were just using a superhero they already had out there. Nothing ever really seemed to affect any of the other shows. This includes the recent shows on Disney XD from what I can tell. However, starting out with a crossover special entitled The Offenders, an obvious parody of Netflix’s The Defenders (which was the name of a superteam in the Marvel Universe at one point), the four cartoons that Hulu will have based on Marvel characters may be connected. The interesting thing is they really aren’t doing the popular character, much like the recent Marvel Rising specials, but focusing on characters more obscure than even the Rising cast except to die-hard comic fans. Well, one of them is but he isn’t a hero. It’s an odd set of choices, but could they work? Through Variety let’s take a look at what’s coming. The question is, who are these characters? Most of them have made it out of the comics in one form or another. Everyone except the first one I’ll bring up. 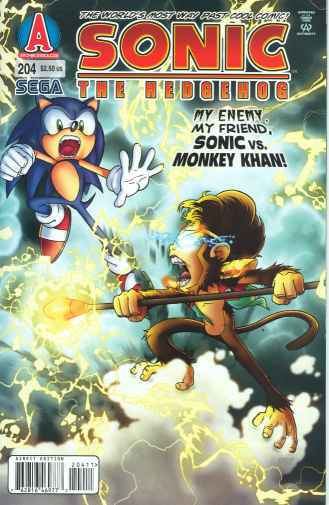 No, this isn’t a Sonic crossover. I just searched for “monkey” in my media library. “Hit-Monkey” will be written and executive produced by Josh Gordon and Will Speck, the team that previously co-directed films like “Blades of Glory” and “Office Christmas Party.” The show tells the tale of a wronged Japanese snow monkey, mentored by the ghost of an American assassin, as he cuts a wide swath through the Tokyo underworld. Most of you out there now know as much about Hit-Monkey as I do. Seriously, I’ve heard the name…maybe…but that’s all I know. It doesn’t sound like something I’m interested it, but it does seem to be the tone the Hulu Marvel cartoons are going to go for, a goofy comedy vibe that may or may not have action. I don’t think it’s going to be Teen Titans Go levels but this is the direction the toons went for awhile on Disney XD if you look at Ultimate Spider-Man or what I’ve heard about Avengers Assemble. That’s not a quality judgement since we don’t have any actual footage (not that marketing hasn’t screwed up the tone before in their ads) but considering they’ve been swinging back with the more recent Spider-Man and Avengers cartoons it feels like a step backwards as a theme for all the offerings. I mean, one of them isn’t even about a hero! The sad thing is his large hat collection. Read that joke however you want. Believe it or not M.O.D.O.K. 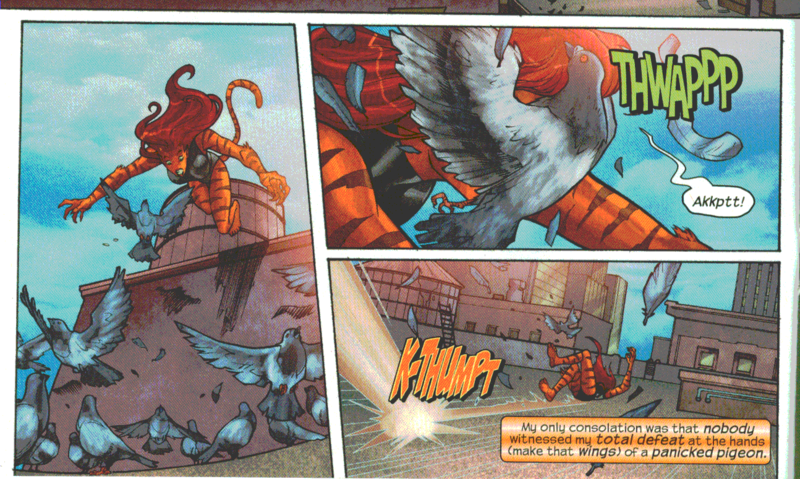 is considered a real threat in the comics. Not that any of his animated appearances (I don’t think he’s had a live-action one yet) would indicate. In previous cartoon appearances he’s been a flunky to some other villain (Mandarin in the 90s Iron Man cartoon and Doctor Doom in The Super Hero Squad Show) and now he’s Evil Con Carne apparently, or possibly Doctor Doofenshmirtz. 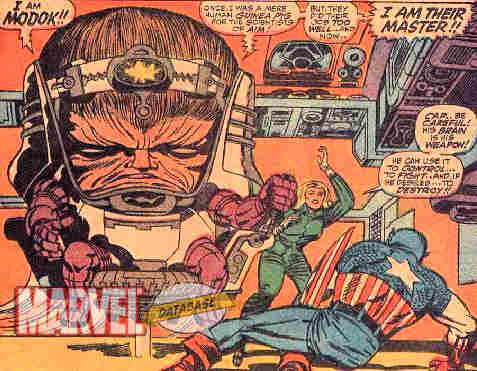 Yes, he’s a large head with small limbs but he has psionic powers and took control of an army of evil scientists. You really can’t make a threat out of that? The next one at least makes sense as a goofy comedy since the comic he came from was. Kevin Smith’s form of comedy is not one I get behind but I at least understand his inclusion given his history in comics and his style does fit in with Howard The Duck‘s style. That said, the guy who created Squidbillies? Seriously? I don’t see that ending well. Adult Swim does not make decent cartoons and their humor is usually centered around one guy not being a jackass in a sea full of them. It’s kind of amazing how fast Howard’s star has risen from his flopped 80s movie that couldn’t decide if it was for kids or adults to a random appearance in the Guardians Of The Galaxy movies making new fans curious about him. It’s kind of bizarre. Speaking of bizarre, look up the creator’s issues with Disney and not-yet-owned-by-Disney Marvel. 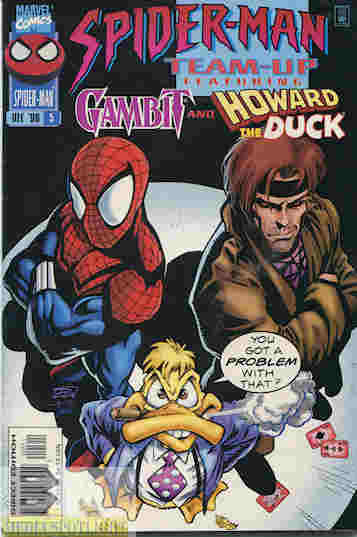 It’s kind of strange given Disney now owns Marvel but once insisted Howard not be drawn like their duck characters, and that’s only the beginning of Steve Gerber’s problems with Marvel. Although I’ve never heard what co-creator (according to Wikipedia since we seem to credit artists more now to avoid Bill Finger’s fate) and artist Val Mayerik thought about the situation. I suspect this is the tone that’s coming. So you had the opportunity to do a good action-oriented superhero series about a woman with cat-like powers and a mutant who turns sound into light beams and this was the team you put on it? I’m not putting down their talents because like Smith their form of comedy isn’t to my tastes so for all I know they are good. However, it doesn’t sound like the group you put on a superhero action show, and with no plot listed on this one I’m ready to be disappointed. And finally here’s a taste of the art style. I’m not saying it couldn’t be a good set of action shows, just that they probably aren’t going to go with that. That seems to be the trend right now, at least in the streaming circles (and Cartoon Network, who is trying to think like them and failing), a wacky hi-jinks/action hybrid that doesn’t work unless you can put some heart into it. That’s what separates Voltron: Legendary Defender (although I’ve been hearing they made a lot of mistakes as the series went on) and She-Ra And The Princesses Of Power (again, from what I hear–diversity should come WITH good writing or your diversity goal looks bad). Could this be good? Variety doesn’t mention a release date so hopefully they have the time to make them good. Time will tell I guess. 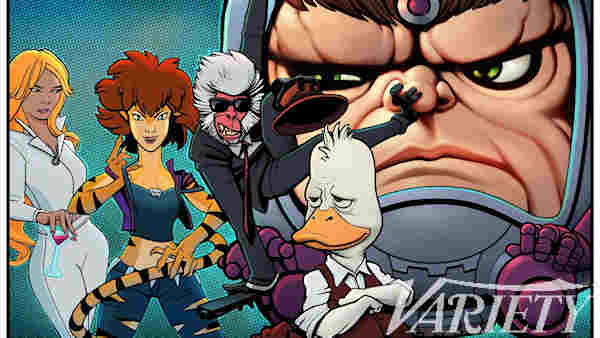 Posted by ShadowWing Tronix on February 12, 2019 in Animation Spotlight, Marvel Spotlight, Streaming Spotlight and tagged animation, Dazzler, Hit-Monkey, Howard The Duck, Hulu, Marvel, Marvel Animation, Marvel Comics, MODOK, Tigra (Marvel).